“Harry” is made from milky white Soft-Luxe material. He wears a pair of cropped barley white corduroy dungarees specially adapted to show off his cute bobble tail! The rounded front pocket and hems are trimmed with a silver and white herringbone fabric. The same fabric adorns his inner ears, pads and nose. His fingers and toes are defined with barley white coloured thread. Harry has friendly, light brown shoe button eyes with black pupils and his rounded muzzle is shaved short on top. 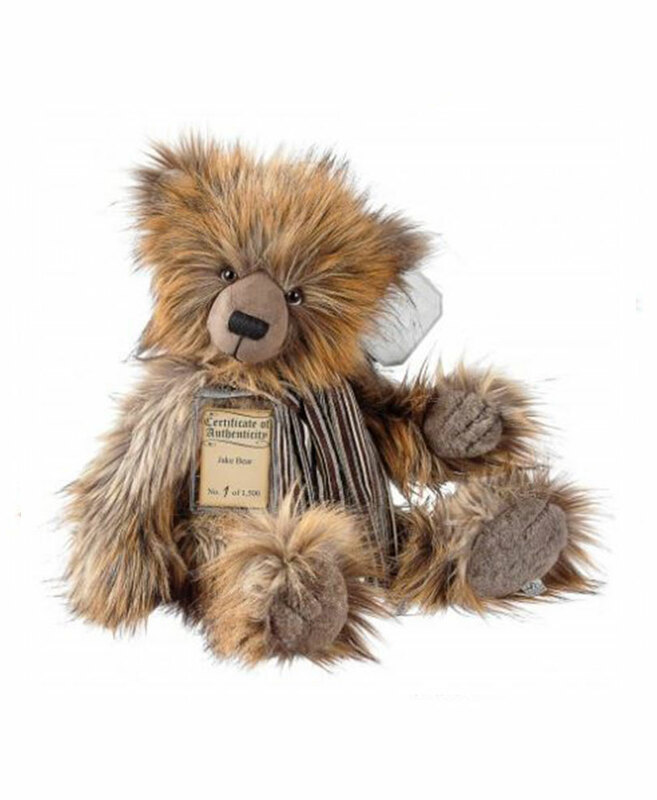 Harry is a handcrafted fully jointed Silver Tag Bear with classic back bear hump. He is substantially weighted with beans for stability and so he can be posed with ease. An illustrated hangtag is attached to his left ear. A unique individually numbered Certificate of Authenticity in a protective sleeve on a silver cord adorns his neck. 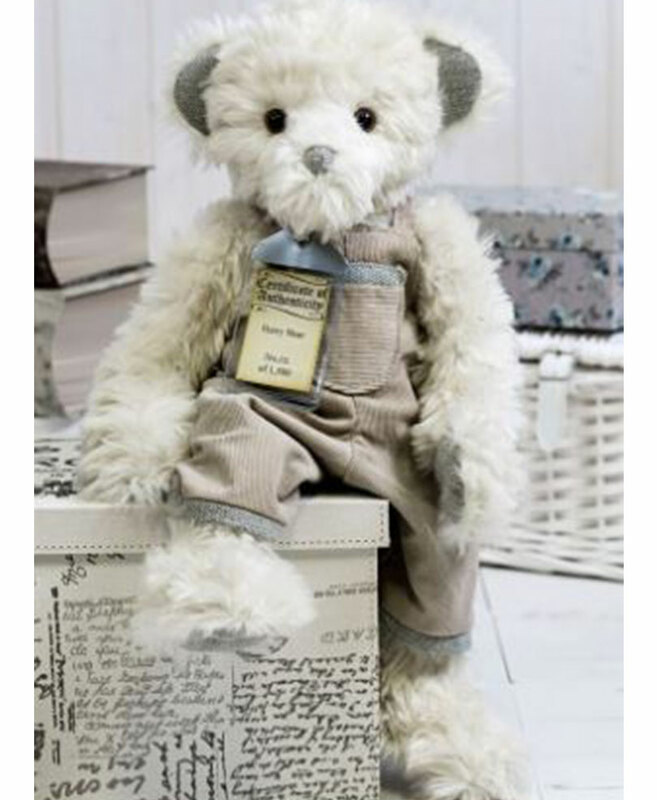 He comes with exclusive Silver Tag Bear tissue paper and a specially designed, gloss finish carry box. 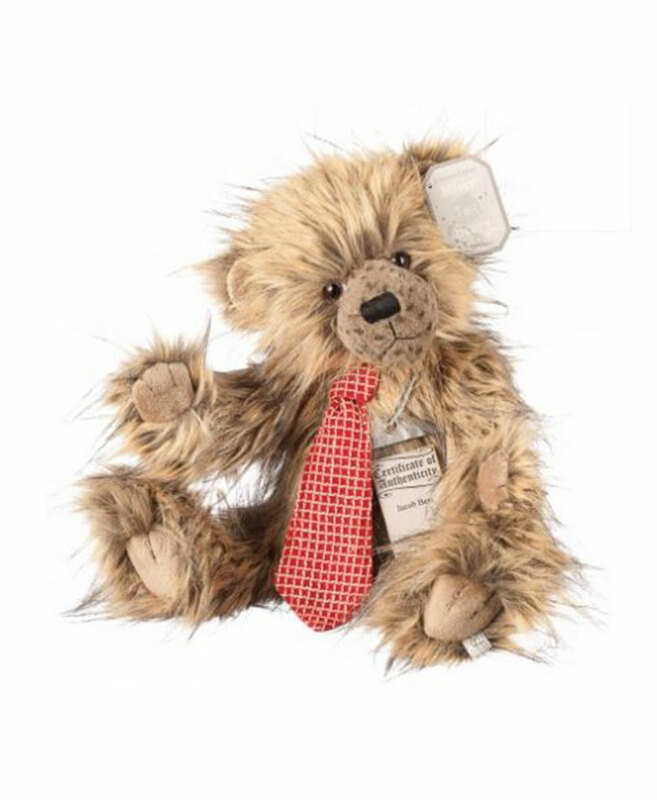 Harry can be recognised as a member of the Silver Tag Bear family by the exclusive silver fabric ‘S’ tag stitched to his left foot pad. 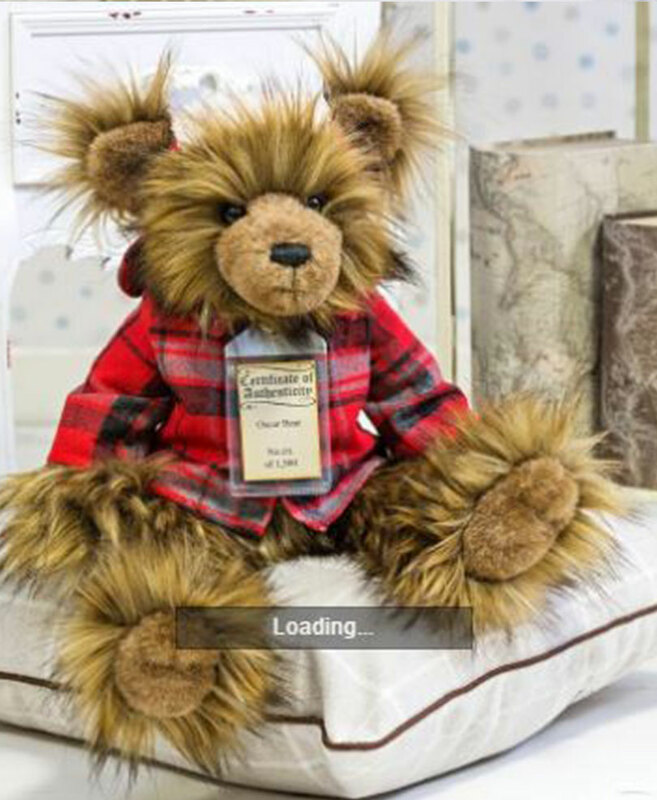 Silver Tag Bear Harry is a collector’s item for 14 years of age and above. He is limited to just 1,500 pieces worldwide.